Cambridge School in Mangalore offers CBSE curriculum. The school is known for good facilities like its computer lab. Amrita Vidyalayam in Mangalore, Bangalore, Belgaum, Davangere is part of a national network of value based schools. They offer CBSE curriculum. Sri Chetainya Techno School offers CBSE curriculum in Bellary, Raichur, Tumkur and Bangalore. Treamis World School in Electronic City, Bangalore offers IGCSE and CBSE curriculum. Ryan International School offers ICSE, CISCE, CIE syllabus in Bangalore. They have their presence in Whitefield, Sarjapur Road, Bannerghatta Road and Yelanka. 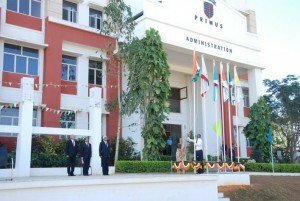 Primus Public School on Sarjapur Road, Bangalore offers ICSE and IGCSE curriculum.